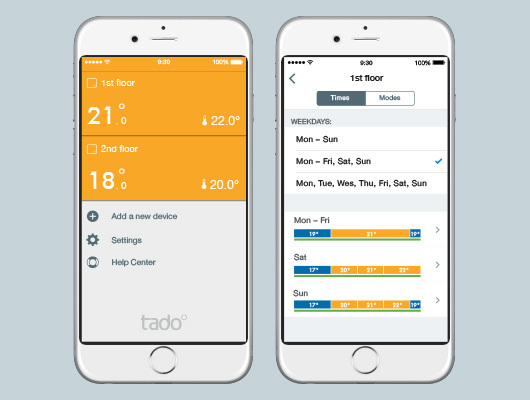 Up until now tado° has been using your phone’s location to cut your heating bill. Today, your personal heating assistant offers even more. If you have more than one heating zone in your home, tado° gives you the power to control each zone and your hot water tank separately. Pic. 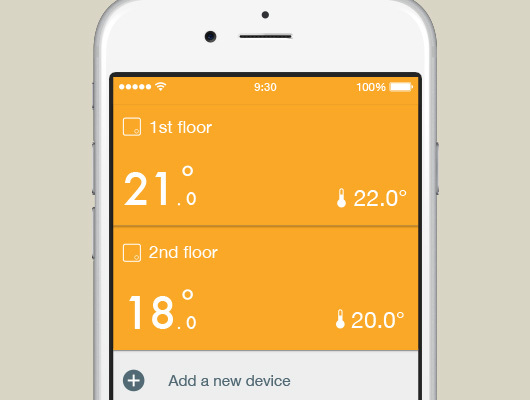 1: The tado° app shows your home zones at a glance. If you make tado° part of your home, not only will you do the environment some good, but also yourself and your purse. Apart from that, it just comes in handy to control your heating from anywhere. 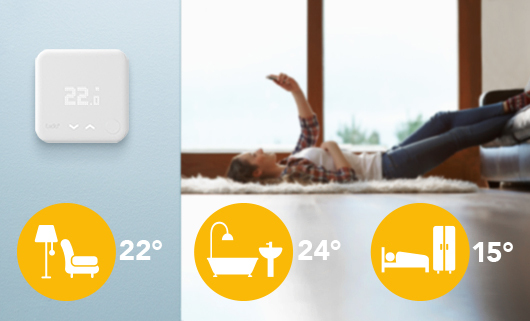 With tado° you can lean back and leave the work to your Smart Thermostat. Your personal heating assistant will take care of your well-being – in all respects.